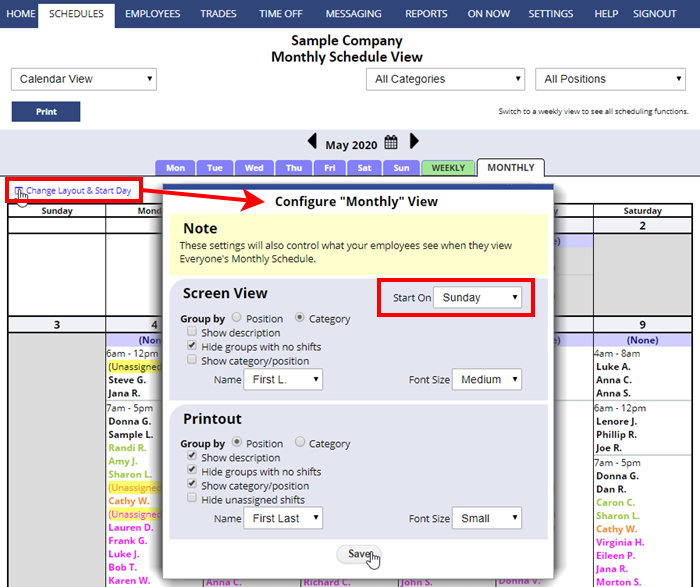 Change Layout – Font size, Name Order, Sorting, how schedule displays, etc. Most Schedule views have a “Change Layout” link in the upper left. Depending on the view, you can change various layout options for that display page and printout. Some of the options include or omit information, change font sizes, change the way employee names appear (first, last), set operating hours to show, etc. Be sure to explore all of the layout options using the “Change Layout” links. The selected layout settings will remain active for you in the future for each view until you change them again. 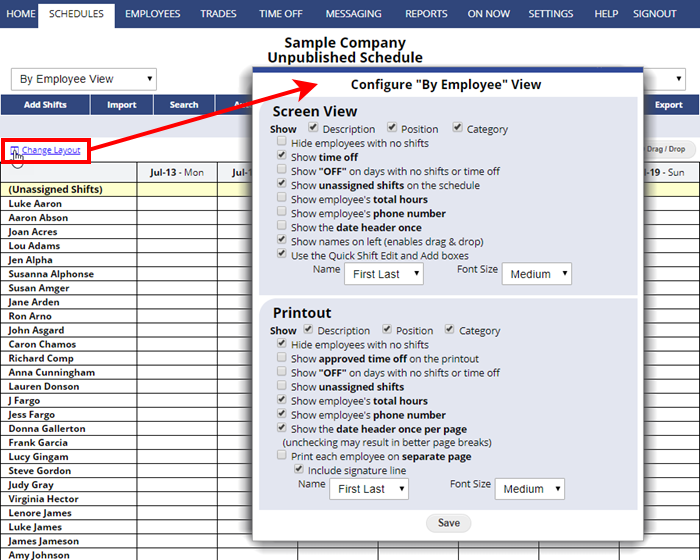 Note: The SETTINGS>Info page allows the main manager to change the day that displays first on all weekly displays.